You're currently browsing page: /trompeter-musiker-komponist/155/search-for-buddha?lang=en of www.markusstockhausen.de. A world music symphony, a musical extravaganza with a universal message of peace for our times. 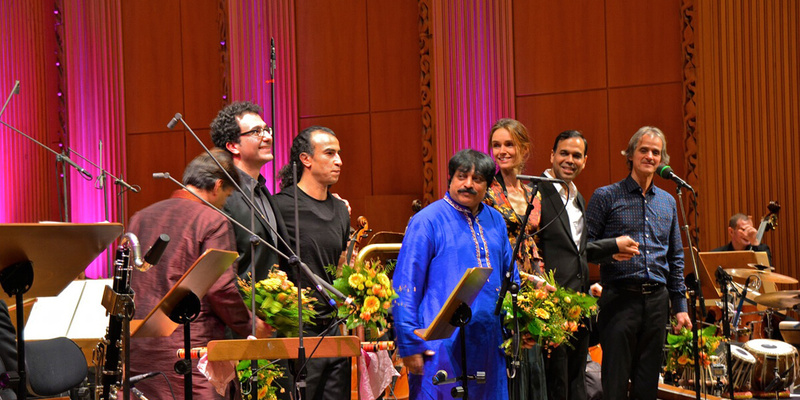 East meets west: The music is a fusion of Indian, Tibetan and other world music, interwoven with the modern western symphony orchestra and international soloists. About two years ago the Indian Bollywood composer Sandesh Shandilya came to me and asked if I could help him realise a vision of his, namely to put the life of Gautama Buddha to music. Sandesh played me some of his film music and I was enthusiastic. 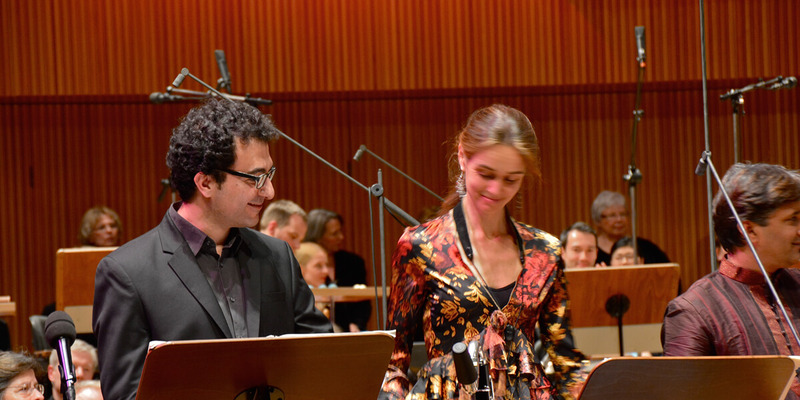 We then contacted several orchestras and Mr Breugst, who at the time was in charge of the WDR radio orchestra, agreed to participate in this exciting project. The following two years shot by; Sandesh came to Germany several times and we discussed various aspects and made trial recordings. 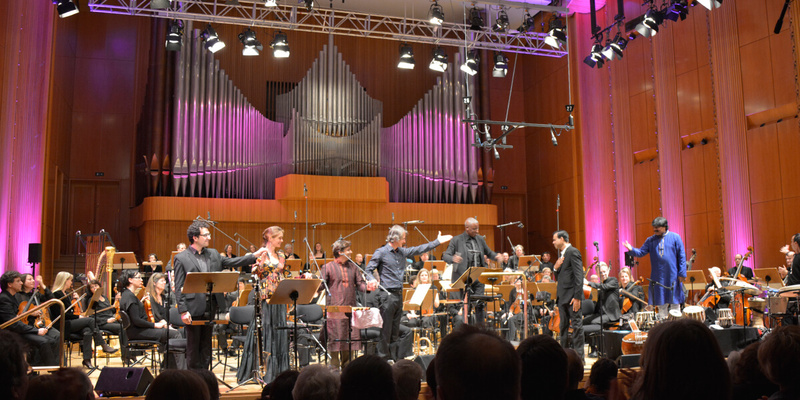 I travelled to Budapest six times to meet Kornél Fekete-Kovacs who did an amazing job arranging Sandesh’s composition for orchestra and choir. Sandesh Shandilya’s deepest wish with this music is to make a contribution towards peace among the people, races and religions of the world. Peace can only be realised when it becomes visible in the world. You will now experience Buddha’s life in a world-music-symphony, composed in nine scenes. Siddharta is born into a life of luxury at the court of his father. At an early age he had everything one could wish for: wealth, respect, talent and a loving family. His father kept him in seclusion, protected him from all forms of suffering because he hoped to make a great ruler of him. The young prince becomes a skilled warrior. He then meets his beloved wife Yashodhara and she bears him a son. His life is fulfilled with feelings of love. When he leaves the palace for the first time aged 29, he meets a mortally sick old man. It becomes clear to him that life includes suffering. Suddenly everything appears to be meaningless and he is tormented by questions that begin to arise in his soul. Siddhartha feels an inner calling and he leaves his home in order to find answers. If reality includes suffering and death, then their opposite, peace and life must also be present. If everything is transient, then the un-changing and permanent must be achievable. He follows his calling and begins his search for lasting truth. He renounces all worldly comforts, and wanders as a beggar for six years from city to city on the Ganges plain. He lives an ascetic life, practises yoga, meditation, contemplation and the overcoming of the ego and all personal desires in order to achieve freedom, self-knowledge and spiritual enlightenment. During this inner journey he has powerful confrontations with his own self. Comparable with Jesus later in the desert, he experiences the most pressing moments of doubt and inner conflict. After the monk Gautama has exhausted all possibilities, he recognises that neither the pleasantries of life nor the ascetic path can give him the freedom he so desires. He sits under a Bodhi tree with no particular intention and suddenly he experiences a new meditative peace. He realises his true nature and achieves the final condition of release; the Buddha consciousness. After his awakening, Buddha returns to his family who have painfully missed him. Yashodhara is saddened that her husband’s is now a monk but she quickly recognises his greatness and becomes his disciple, as does his son. Both embark on the path towards Buddha consciousness. For the following 45 years Buddha dedicates his life solely to the task of leading others to their own spiritual release. He is permeated with sympathy and he shares his knowledge with many suffering and searching fellows. His message is that only a greater consciousness, awareness, composure and compassion for all suffering beings can lead to happiness. It is the light of truth that points his disciples towards the achievement of the Buddha nature and this message spreads. Buddhas last words are an appeal for us to be conscious in every moment, during every breath we take, in every act of perception and that we should recognise that everything in the world is transient. Only the true self – as a source of all life and of which we are part – is of lasting value. Buddha departs his mortal apparel the body and becomes one with the cosmos. His death is a celebration of life, the release from all binding, restriction and desire. A short explanation to the words often sung by the choir: Buddha Sharnam Gachaami – this means that one is also on the path towards Buddha consciousness, that one has been freed from suffering and is striving towards freedom. 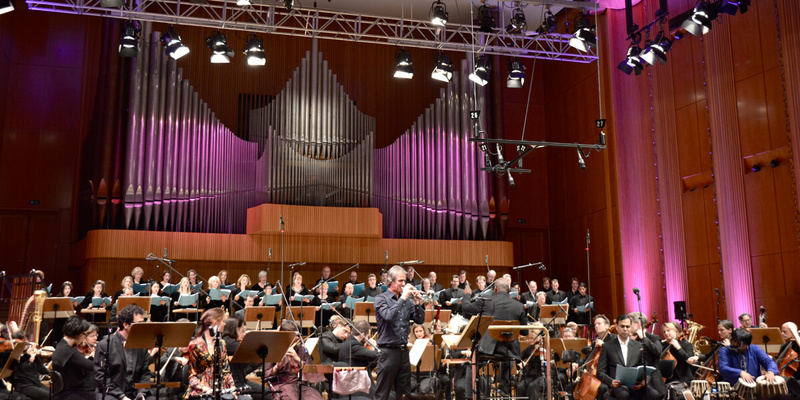 The world premiere took place at the West German Radio Station – WDR – Cologne, on February 6th, 2015 with the WDR Funkhausorchester and the WDR Radio Choir, under the direction of Wayne Marshall. A second performance took place at the Oetkerhalle in Bielefeld, on February 7th, 2015.
is a very successful Indian music composer, whose career in the Indian Film and Music Industry spans 20 rich years. His very first album, Piya Basanti, a fusion of Indian classical, Jazz and Sufi, won the MTV album of the year award. 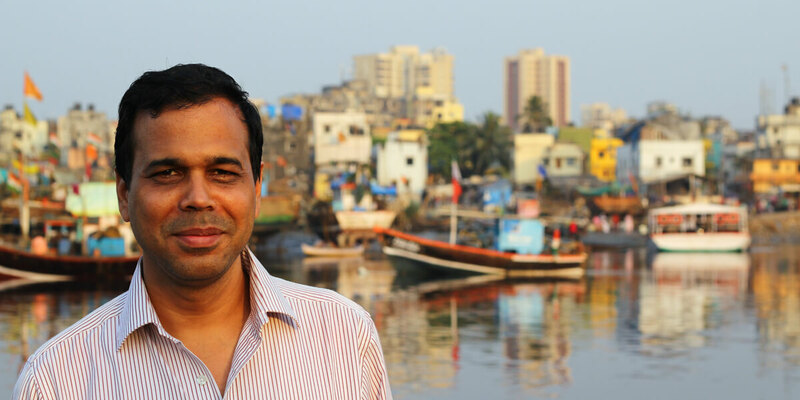 Sandesh Shandilya has composed songs for more than 20 Indian films, with a few awards and many chart busters to his credit. He has given the background score in more than 7 Hindi films; in the year 2010, he won the best original sound track award in LA Reel Festival, USA. This year, his music was much appreciated in the award winning film Gattu at the Berlin Film Festival.